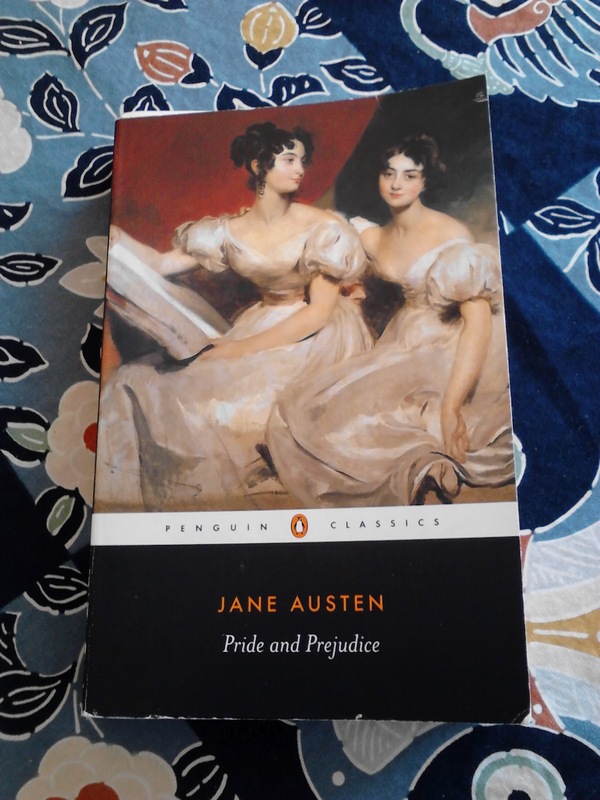 "It is a truth universally acknowledged, that a single man in possession of a good fortune, must be in want of a wife." And with that sentence, Austen's beloved Pride and Prejudice begins. Just a few paragraphs later, we find the first of many references to Michaelmas, (often called the feast day of St. Michael and All Angels, if you're not in England). "Why, my dear, you must know, Mrs. Long says that Netherfield is taken by a young man of large fortune from the north of England; that he came down on Monday in a chaise and four to see the place, and was so much delighted with it that he agreed with Mr. Morris immediately; that he is to take possession before Michaelmas, and some of his servants are to be in the house by the end of next week." Likewise, Austen's novel Persuasion places events in the life of Anne Elliot and Frederick Wentworth around the time of Michaelmas. 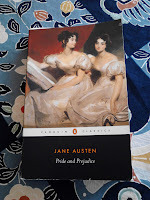 J and I reread many of Austen's novels last summer, finding the many references to this feast. It's one we particularly enjoy in our household, enough so that we'd hoped to host a Michaelmas party in our new home. Unfortunately, we'll have to wait a whole year. Our move has not yet happened, despite J's having already begun his work at the cathedral where we once were new members. We've engaged in some creative commuting this month, and it's getting old. So we'll have a year to plan a first Michaelmas party. I've never been to one. What should be on the menu? Instead, we hope to host a 1982 Hymnal Party before 2012 is over. We had two such gatherings when we previously lived in Davenport; the clergy and choir came dressed in imaginative costumes depicting someone or something from one of the hymns. Two previous deans came in rather unforgettable garb -- especially the one (who shall not here be named) who appeared as the devil, complete with red lipstick and red tail! Happy Michaelmas! May St. Michael and all the Angels help and defend us here on earth (as we pray in the Collect for this day), today and in the days that, by God's grace, lie ahead.